Fairly traded whole black peppercorns in an attractive, reusable glass grinder from Oryx Desert Salt. Oryx grinder bottles have information printed directly on the glass so they can be kept clean and don’t need to be replaced - the new grinder heads have a ceramic mechanism for long lasting use. So far they have been tested up to 10 refills and they still grind smoothly. The pure cotton bags are packed in recyclable polyprop bags. The Oryx Black Pepper - 50g product ethics are indicated below. To learn more about these product ethics and to see related products, follow the links below. 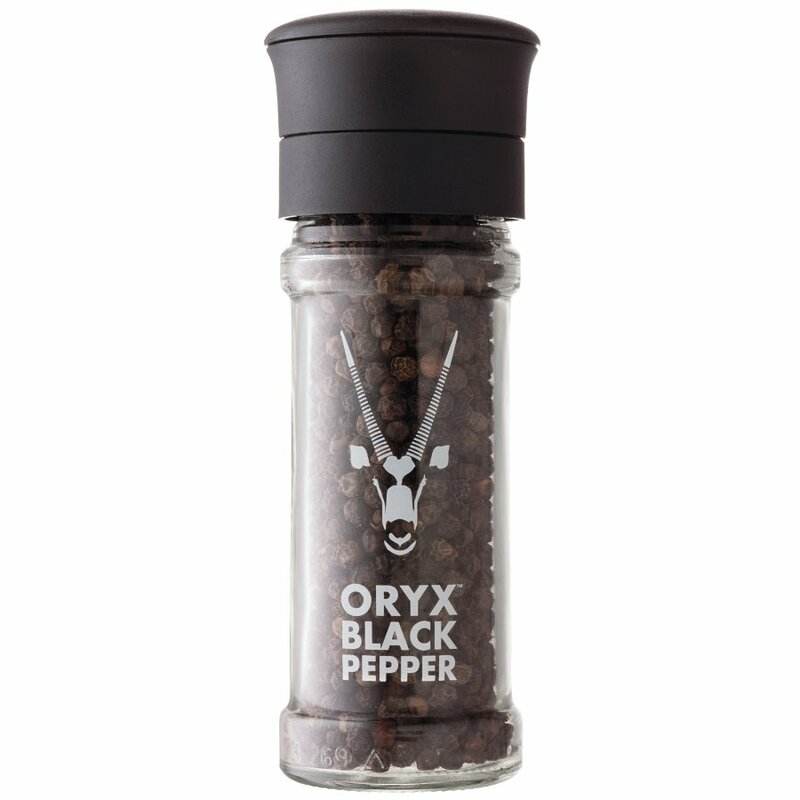 There are currently no questions to display about Oryx Black Pepper - 50g. 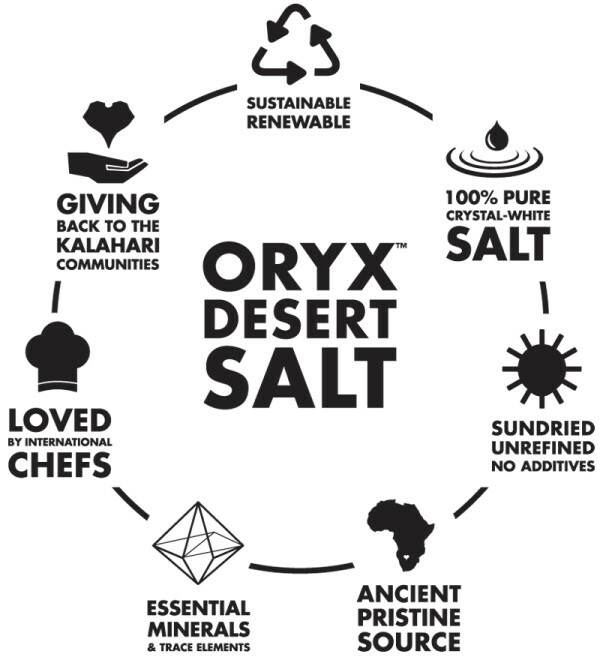 Oryx is 100% pure, natural desert salt as nature intended – no additives, no anti-clumping agents, no preservatives. Dried by the hot African desert sun in harmony with the natural rainfall and surrounding environment, unrefined and unprocessed. 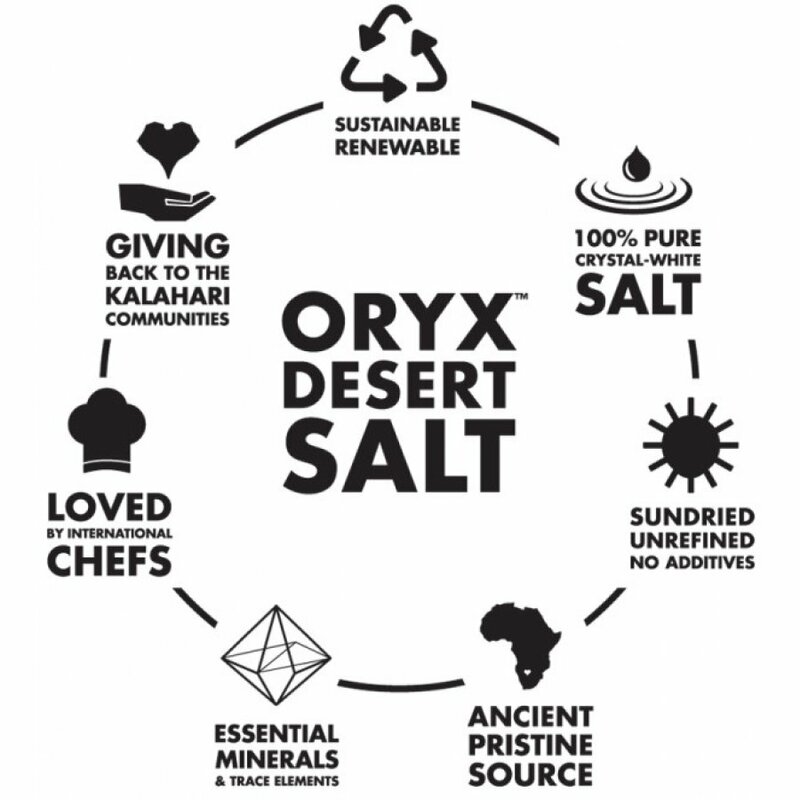 Oryx Desert Salt is committed to supplying an ethically harvested, sustainable and renewable desert salt that has an exceptional taste, and enriches the flavour of your food. Their new grinder heads have a ceramic mechanism for long lasting use and can even be refilled - so far they have been tested up to 10 refills and they still grind smoothly. They believe in giving back to the community, so for every bag of salt sold a percentage is donated to the Khomani San and Mier communities in the Kalahari Desert.